How many ? 5 units in stock. 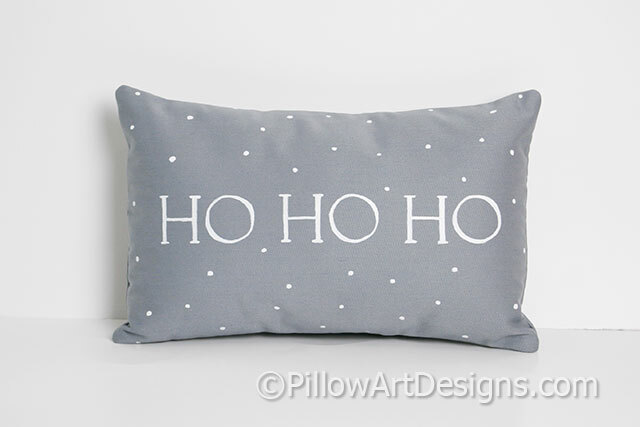 Small grey Christmas pillow measures 8 X 12 inches, Ho Ho Ho painted on the front with snowflake dots around the words. 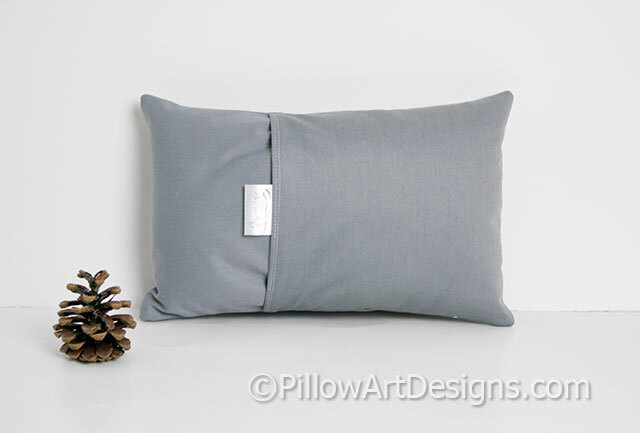 Outer fabric is grey cotton polyester twill, fully lined with white cotton polyester. Comes stuffed with hi loft polyester fiberfill, envelope closure.